There are free shuttle buses during the festival from the East Exit of JR Kawaguchi Station on the JR Keihin-Tohoku Line, and from the West Exit of SR Hatogaya Station. 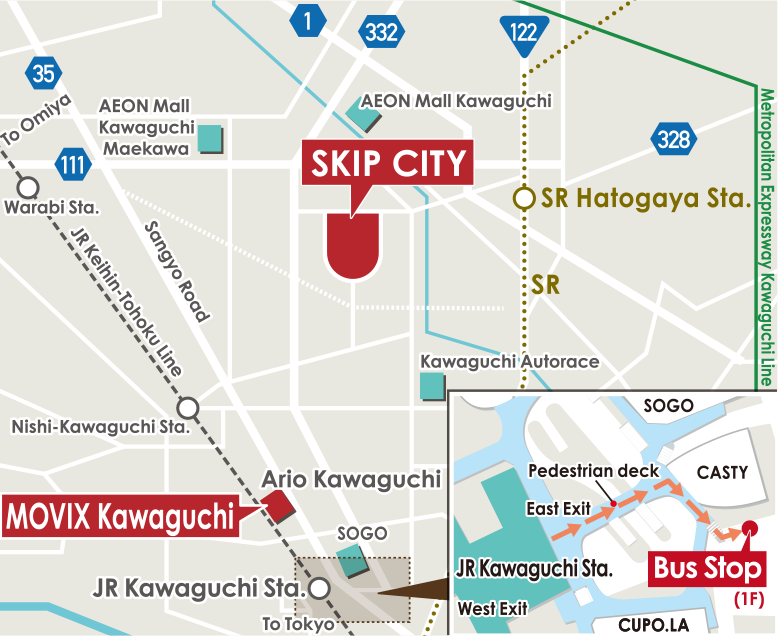 *SR Hatogaya station ⇄ SKIP CITY operates only on weekends and holidays. *The arrival time may vary depending on traffic. 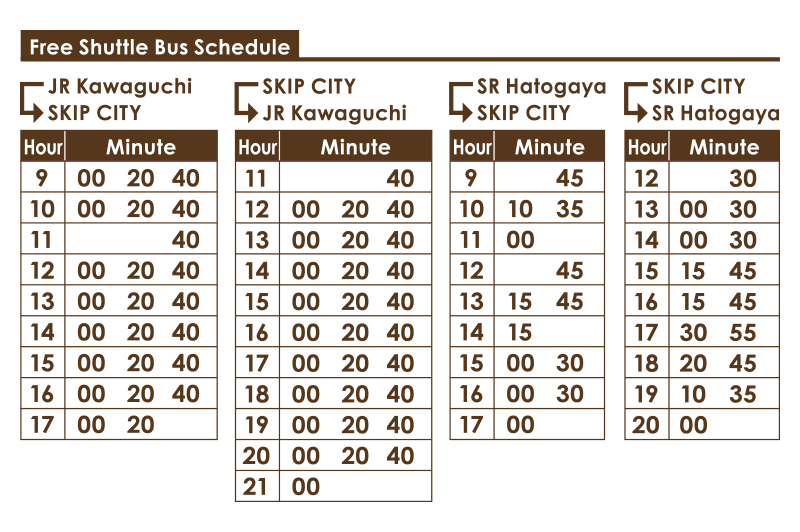 *Public bus is also available from Kawaguchi Station, Nishi-Kawaguchi Station (JR line) and Hatogaya Station (SR line).5 minutes walk from the Kawaguchi Shiritsu-Koko bus stop.